The Lady Lions got off to an extremely slow offensive start, not scoring their first basket until the 5:42 mark of the first quarter. The two teams shot a combined 17 percent from the field in the opening period, with Jacksonville only converting one field goal. 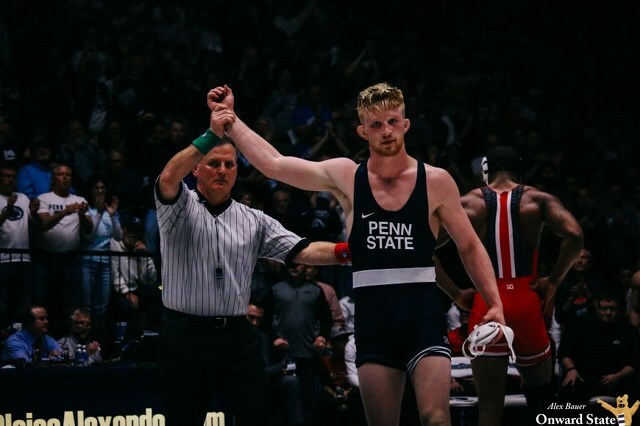 Penn State led 12-6 at the end of the quarter, mostly due to strong defense. Jacksonville got within four points early in the second quarter, but the Lady Lion offense finally woke up and didn’t look back. A big quarter from Teniya Page propelled Penn State to a 37-19 halftime lead. The Lady Lions finished the half with an astounding eight blocks and six steals while holding Jacksonville to 25 percent from the field. Penn State got sloppy again in the third quarter, allowing Jacksonville back in the game with much weaker defense and increased fouling. Page put an end to this comeback effort, converting on multiple clutch buckets at the end of the quarter to re-extend the lead to 13 points. 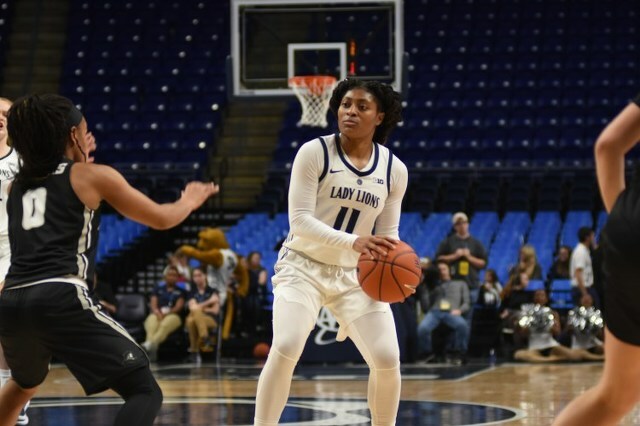 Jacksonville continued to push in the closing frame, but Page was too much to handle for the Dolphins and Penn State snapped its two-game skid. Teniya Page did Teniya Page things, showing an ability to takeover the game and get a bucket when the Lady Lions needed it most. She finished with 27 points on 9-of-17 from the field. With Amari Carter sidelined, Kamaria McDaniel stepped up once again for the Lady Lions. She contributed 17 points on 4-of-6 from three. Alisia Smith, Lauren Ebo, and Siyeh Frazier were tremendous defensively, contributing a combined nine blocks and nine steals. The Dolphins were unable to find any sort of consistent offense the entire game, in large part due to the efforts of this trio. “Dolphins aren’t green,” was a common chant heard from Penn State’s band, and I have to say, they’re not wrong. Jacksonville’s named the Dolphins, but were wearing green jerseys. Something’s not adding up here. The Lady Lions will play host to Duquesne (3-3) on Wednesday. The game tips off at 7 p.m. at the Bryce Jordan Center.